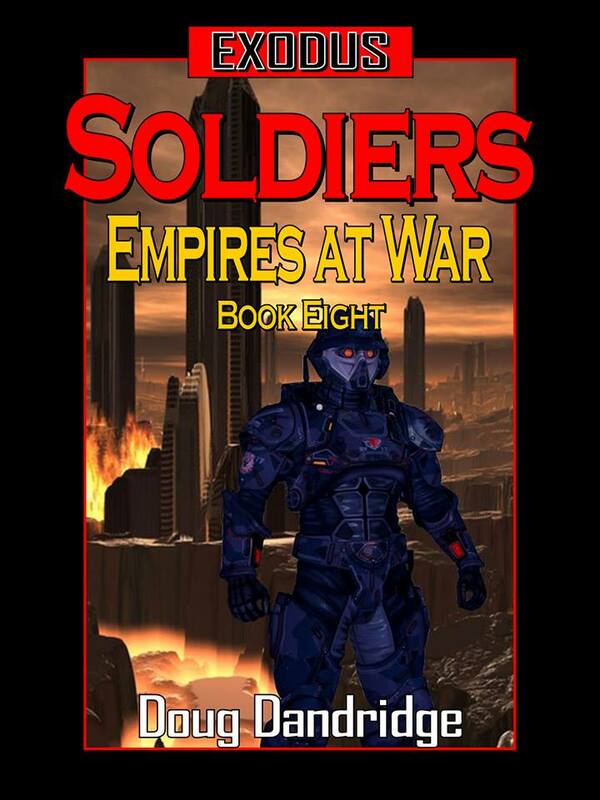 I will be uploading Exodus: Empires at War: Book 8: Soldiers to Amazon before I go to bed tonight, which means it should be available worldwide sometime before the sun rises Eastern Time. I also approved the audiobook of Exodus: Empires at War: Book 3: Rising Storm, which should be available over Amazon and Audible in the next three or four days. As mentioned in the last post, Exodus 8 will have a combination of ground and space warfare. In fact, it’s almost a fifty-fifty split for the types of action. Samuel Baggett and Cornelius Walborski will again be the main POV characters for the ground action, with the addition of some new characters, while Bryce Suttler and Admiral Len Lenkowski will have roles in space, though other characters will also share the spotlight. I am already at work on Exodus 9: Second Front and have done about fifteen thousand words on Exodus: Machine War; Book 2: Bolthole. I also have the covers in hand for those books. This weekend I will format Exodus 8 for paperback, and it should be available through Amazon and the Createspace store by next week. I don’t sell that many paperbacks, but still do them as a courtesy to fans who prefer that kind of reading experience, or for the infrequent times I do book signings. So here’s an excerpt of the space action, showing that not everything always goes to plan. One of the missiles that had made it through the close in defensive fire was kicked over by the blast particles and went spinning out of control. Three made it through intact, their sensors scanning for the targets they had been set to look for. Two located the same target, while the third couldn’t find what it was looking for and instead locked onto the largest vessel in the area, an eight million ton assault ship. The lone missile that homed in on the attack ship almost made it through untouched. The assault ship, the Kharkov, picked up the missile at the last moment. The ship was not equipped for ship to ship offensive operations, but the defensive suite was comparable to that of a heavy cruiser. Short range lasers fired, while the missile juked and swerved, its jamming systems coming up to full power. Close in weapons took over, sending a wave of explosive shells toward the missile. One shell hit the missile body, shredding it, and the warhead followed suit. The weapon detonated five kilometers off the bow of the ship, sending its blast of radiation into that part of the vessel. The ship shuddered from the breech of its lightly armored hull, and one of the forward hangars blew open, throwing orbit to atmospheric craft out into space, destroying a quarter of the ship’s complement of support craft. Kharkov limped on, trying to get into position to support the people on the surface while streaming atmosphere from multiple hull breaches. The last two missiles came in on the same target, one of the stealth/attack ships with an attached gate. The ship was almost helpless, unable to bring its own defensive weapons to bear due to the portal being in the way. A battleship was in the process of transiting the gate, the fifteen million ton Queen Elizabeth III. Half of the ship was through, but it was still in no position to defend itself or the gate. Still, the forwardmost laser ring was able to get in a pair of shots. One hit a missile square on the nose from a hundred kilometer range, detonating the missile at a distance from which the radiation load was minimal. The second missile was hit by the stern, causing it to go into a tumble that caused it to detonate a kilometer from the gate. The battleship would have handled that close a blast with little problem except for some surface damage. The gate itself was much more fragile, and the frame couldn’t handle that heat. Two hundred meters of the outer portion of one frame side boiled away into vapor, destroying the connection that kept the magnetic field operating that held the wormhole open. The wormhole collapsed, shearing through the section of the ship that was still transiting the hole as if it didn’t exist. The forward end of the ship separated from the hole and flew out into space at two kilometers a second. One of the missile magazines had been cut in two, and a warhead breached containment a moment later, causing a gigaton class explosion that ripped through that part of the ship. Thirty more warheads went off in sympathetic detonation, a brilliant flare that blinded every visual sensor for thousands of kilometers around. The safety systems had engaged a microsecond before, sending more warheads out into space sealed in protective cases, their emergency com systems blaring for a pickup by a friendly ship. The forward section of the Queen Elizabeth III disappeared in a cloud of fast expanding vapor, taking what was left of the gate portal framework and the stealth/attack ship Grampus with it. Fortunately for that area of space, there were not many particles left above the size of a molecule, so all the other vessels in the area were able to weather the blast. The stern fared no better, and it was much worse on the whole for the surrounding area than that of the front. The wormhole pinch that severed the vessel in half cut through the front section of engineering, where the matter antimatter reactors were housed. Two of the containment vessels were ruptured at the front end, releasing their antiprotons into the region. The forty gigaton blast ripped the rear half of the battleship apart, and the other containment capsules ruptured in the blast, adding their antimatter to the fury, boosting the forty gigaton blast up to three hundred gigatons. Warheads breached containment microseconds later, adding almost two hundred more gigatons to the small star that birthed in the middle of the gathered force that had been waiting for transit. Later analysis would show how fortunate it was that the rear, antimatter rich section of the ship exploded in that system almost a thousand light years away. If it had gone off thirty thousand kilometers from the inhabited planet, the radiation wave could have killed a hundred million of the humans on that world. As it was, it caused heavy damage to dozens of the nearer vessels, moderate damage to scores more, and lighter hull scaring to hundreds of more. Four thousand crew, beside the five thousand four hundred who had been aboard the battleship, died in the blast, while tens of thousands more were injured. The worst of it was the destruction of the gate, which should have been allowing all of the ships in this gathering to transit into the battle zone. Now they were separated from the battle area by a thousand light years, with no way to get there in any conceivable time frame that would be helpful to the ship fighting for their lives over New Moscow. When the forward part of the ship detonated Seastag was sitting two hundred kilometers away. Seastag was far enough from the blast zone that there was little in the way of physical effect, just a slight shake that lasted for less than a second. She was hit by heat and radiation, and warning klaxons went off on the bridge. “What can you do about it?” asked Suttler, hoping there was something, or the force would have lost half of their gates in minutes. “Odds of the gate collapsing before you fix it?” asked the Commodore as he watched a light cruiser come through the gate, one of the specialized missile defense ships they had been waiting for. ← Exodus: Empires at War: Book 8: Soldiers is coming. Thank you thank you i was running out of stuff to read. This will satiate my thirst for another day. Btw, any date on bolthole? Thanks for being a reader. I’m hoping Bolthole will be out in August, prior to Dragon Con. Hello, greetings from a reader on the other side of the ocean. Have to second kanama1, was just running out of books to read and pondering what to read next. Empires at War never let me down and was often awesome to boot. P.S. I absolutely love cats, too. Hello, can you tell me when Empires at War: book 8 will be published on Amazon UK? I am literally climbing the walls with antipcipation. It should have been up already. I checked all the Amazon sights and it is only out on Amazon.US. Never had this problem in the past. Sent a message to Amazon asking them what the deal is. Whatever you can do would be great. Very much looking forward to delving into book 8. Just started reading Book 8 – love this series. Biggest problem for me so far is no Kindle table of contents since I like to use time left in chapter to manage reading sessions. Also, would be nice if things got started quicker without the ever increasing front matter rehashing what I already know about the series – how about sticking that in the back since i suspect most of us aren’t starting at the end of the series. Thanks for the suggestions. 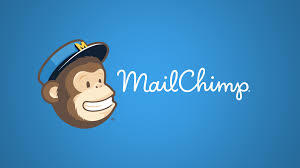 I will look into making some changes in the future. Any news on publication on Amazon UK for EAW book 8? It’s up. About 90 books sold on Amazon UK so far. Loved it! Like a zombie and brains tho I NEED MORE MOREEEEEE! Thanks. But stay away from my brains.